The Rule of 72 is a very easy way to calculate how long it will take to double your money or debt based on a given fixed interest rate, assuming the interest is annually compounded. Use of the Rule of 72 is very simple. All you have to do is divide 72 by the interest rate. The resulting number is the number of years it will take for the amount to double, given that fixed interest rate. For example: if you invest $10,000 in a CD paying 4% compounded annually, it would take about 72/4 = 18 years to turn that into $20,000. On the flip side, if you have some amount of debt, say $30,000 in student loans, at a 5% interest rate which you don’t make payments on, it will take 72/5 = 14.4 years for the amount owed to double to $60,000. You can also run the calculation the other way, if you want to determine what interest rate you’d need to double your money in a given amount of time. For instance: if you have $20,000 in savings and would like to double it in the next 10 years without adding anything to it, you’d need an interest rate of around 72/10 = 7.2%. You can, of course, also use the Rule of 72 to calculate the effect of inflation on your money that you don’t invest. So, if the annual inflation rate is at 2%, for instance, then in 72/2 = 36 years, your money that you didn’t invest will be worth half what it is today. There is also a “Rule of 69″ that is derived and used in a similar fashion to Rule of 72, except that it is used to calculate doubling when the interest is compounded continually, rather than annually. In this case, 69 is chosen because, when you work the math, compounding daily for typical interest rates comes out to around 69-70 and compounding daily is a reasonable approximation for compounding continually. The Rule of 72 also gives rise to the rule of 144, which is used in exactly the same way as the Rule of 72, except 144 instead of 72. This will tell you when the value will quadruple. The Rule of 72 doesn’t just apply to money; it actually applies to anything that grows. For instance, if the average population growth rate for the planet Earth is 2%, then it will take just 72/2 = 36 years for the population of the Earth to double from the current 6.8 billion to 13.6 billion, then in another 36 years it will have doubled again to 27.2 billion. Rush Limbaugh is a racist, pure and simple. He thinks, acts, breathes and eats racism. His close-minded view that melanin, better known as skin pigmentation, will play the deciding role in Colin Powell’s choice of voting for Obama, is racism, pure and simple. Obversely, it should be noted, that in all likelihood, Limbaugh’s vote will be decided on a lack of skin pigmentation, and that he will vote for the whitest candidate in the running. Why does anyone listen to, or pay attention to this bloated bigot? The accidental legacy of corn flakes goes back to the late 19th century, when a team of Seventh-day Adventists began to develop new food to adhere to the vegetarian diet recommended by the church. Members of the group experimented with a number of different grains, including wheat, oats, rice, barley, and corn. In 1894, Dr. John Harvey Kellogg, the superintendent of The Battle Creek Sanitarium in Michigan and an Adventist, used these recipes as part of a strict vegetarian regimen for his patients, which also included no alcohol, tobacco, or caffeine. The diet he imposed consisted entirely of bland foods. 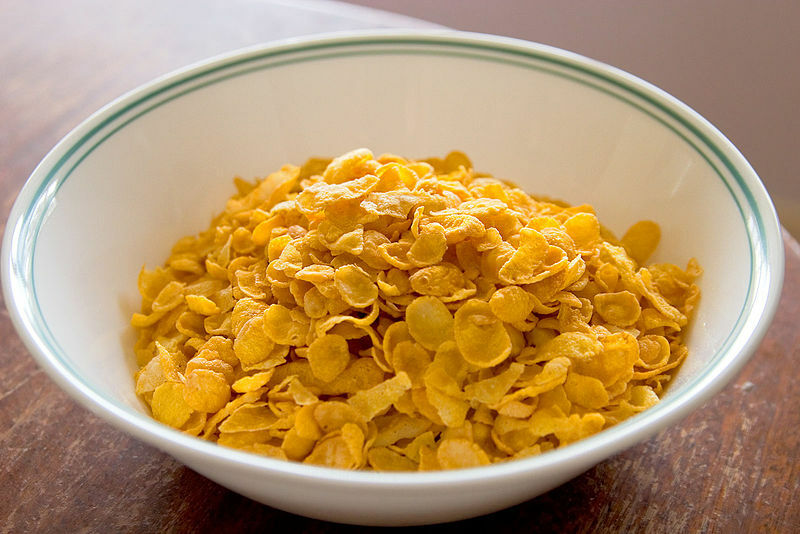 This idea for corn flakes began by accident when Kellog and his younger brother, Will Keith Kellogg, left some cooked corn sit while they attended to some pressing matters at the sanitarium. When they returned, they found that the corn had gone stale, but being on a strict budget, they decided to continue to process it by forcing it through rollers, hoping to obtain long sheets of the dough. To their surprise, what they found instead were flakes, which they toasted and served to their patients. In 1906, Will Keith Kellogg, who served as the business manager of the sanitarium, decided to try to mass-market the new food. At his new company, Battle Creek Toasted Corn Flake Company, he added sugar to the flakes to make them more palatable to a mass audience, but this caused a rift between him and his brother. In 1905, eleven-year-old Frank Epperson left his soda-making tools outside overnight. The next day, the stick he’d used to stir the water and flavored powder mixture had frozen, creating the first popsicle. 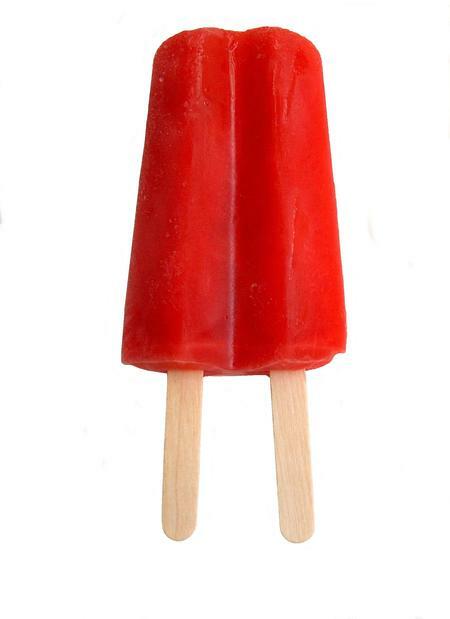 Almost twenty years later, the adult Epperson applied for a patent to make popsicles. Innkeeper Ruth Wakefield, owner of the Toll House Inn in Wakefield, Massachusetts, was trying to bake a chocolate dessert for her guests, but the chips didn’t melt thoroughly. 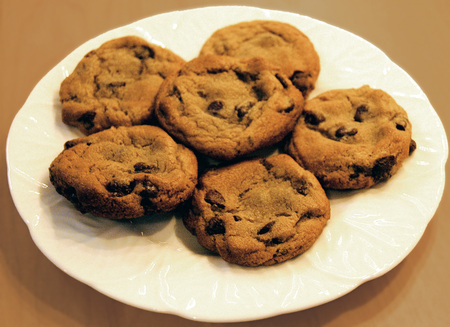 Her guests loved the chocolate chip cookies. 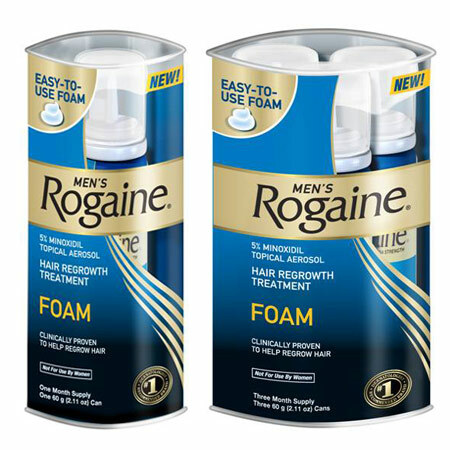 This treatment for hair loss was discovered when scientists noticed that patients taking the blood pressure drug Loniten experienced the added bonus of making their hair thicker. In 1945, an engineer working for Raytheon discovered that a candy bar in his pocket melted while he was working with a magnetron device that was used in military radar systems. 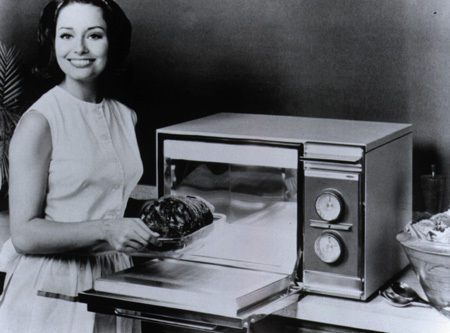 Realizing that the radiation was cooking his candy, inventor Percy Spencer developed the first microwave, which at the time was more than five feet tall! Alexander Fleming recounted that the date of his discovery of penicillin was on the morning of Friday, September 28, 1928. It was a fortuitous accident: in his laboratory in the basement of St. Mary’s Hospital in London (now part of Imperial College), Fleming noticed a petri dish containing Staphylococcus plate culture he had mistakenly left open, which was contaminated by blue-green mould, which had formed a visible growth. There was a halo of inhibited bacterial growth around the mould. Fleming concluded that the mould was releasing a substance that was repressing the growth and lysing the bacteria. He grew a pure culture and discovered that it was a Penicillium mould. 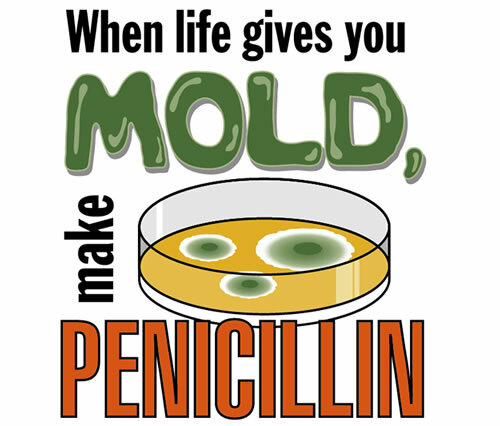 Fleming coined the term “penicillin” to describe the filtrate of a broth culture of the Penicillium mould. He expressed initial optimism that penicillin would be a useful disinfectant, being highly potent with minimal toxicity compared to antiseptics of the day. After further experiments, Fleming was convinced that penicillin could not last long enough in the human body to kill pathogenic bacteria, and stopped studying it after 1931. He restarted clinical trials in 1934, and continued to try to get someone to purify it until 1940. 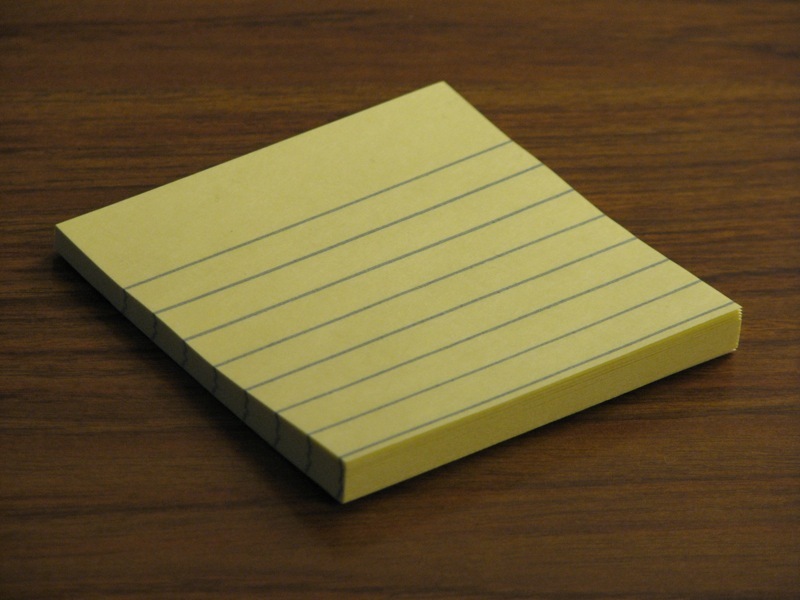 A soap maker at the Procter and Gamble company had no idea a new innovation was about to surface when he went to lunch one day in 1879. He forgot to turn off the soap mixer, and more than the usual amount of air was shipped into the batch of pure white soap that the company sold under the name The White Soap. Fearing he would get in trouble, the soap maker kept the mistake a secret and packaged and shipped the air-filled soap to customers around the country. 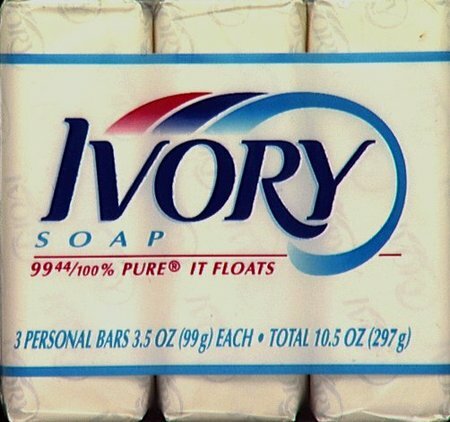 Soon customers were asking for more “soap that floats.” When company officials found out what happened, they turned it into one of the company’s most successful products, Ivory Soap. 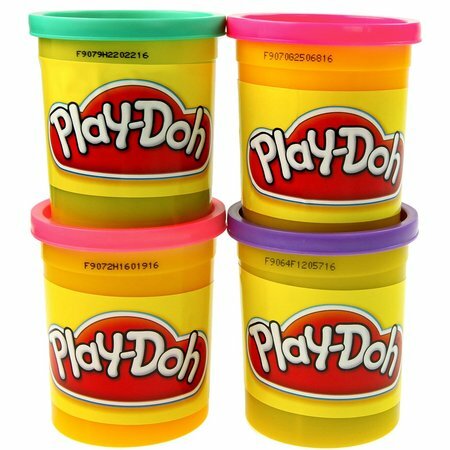 This fun kid’s product was originally meant to be a wallpaper cleaner! The Legend of Kaldi maintains that an Abyssian or Ethopian goat herder noticed that his flock was acting especially frisky after chowing down on some bright red berries. 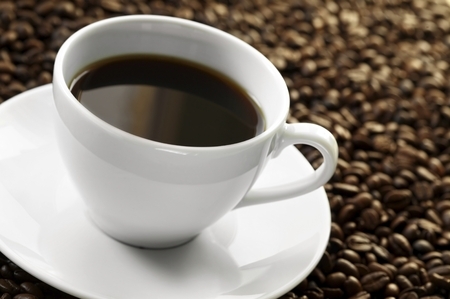 After sampling some for himself and verifying the mood shift, he brought the berries to a local imam who studied them, eventually roasting and boiling a batch in water. In 1853, chef George Crum was annoyed by a customer who kept sending his fried potatoes back to the kitchen, complaining that they were not crunchy enough. Crum sliced the potatoes very thinly, fried them, and added salt. The crunchy chips quickly became a local hit in New England and were called “Saratoga Chips,” after the town in which they were invented. Michelle Bachman:Who Likes White People? Is She Running for Commander in Chief or Evangelist in Chief? David “Honey Boy” Edwards, the Grammy-winning Blues musician, believed to be the oldest surviving Delta bluesman died early Monday in his Chicago home. He was 96. Edwards’ roots stretched back to the 1930s and to blues legend Robert Johnson. Born in Shaw, Miss., in 1915, Edwards learned the guitar growing up and started playing professionally in Memphis at the age of 17. Edwards played his last shows in April at the Juke Joint Festival in Clarksdale, Miss., Frank said. Edwards won a 2008 Grammy for traditional blues album and received a Grammy Lifetime Achievement award in 2010. His death represents the loss of the last direct link to the first generation of Mississippi blues musicians. Edwards was known for being an oral historian of the music genre and would tell biographical stories between songs at his shows. He was recorded for the Library of Congress in Clarksdale, Miss., in 1942. Edwards gathered his life stories in the 1997 book “The World Don’t Owe Me Nothing: The Life and Times of Delta Bluesman Honeyboy Edwards.” He wrote in the book that his father bought a guitar for $8 from a sharecropper and Edwards learned to play in 1929. “I watched my daddy play that guitar, and whenever I could I would pick it up and strum on it,” Edwards wrote. Edwards was known for his far-ranging travels and played internationally. In his 90s, he was still playing about 70 shows a year. Edwards would visit with the audience after every show, taking pictures, signing autographs and talking with fans. Edwards earned his nickname “Honey Boy” from his sister, who told his mother to “look at honey boy” when Edwards stumbled as he learned to walk as a toddler. He is survived by his daughter Betty Washington and stepdaughter Dolly McGinister. He had his own unique style. One that was 75-years-old, and a synthesis of the people before him and in his time. 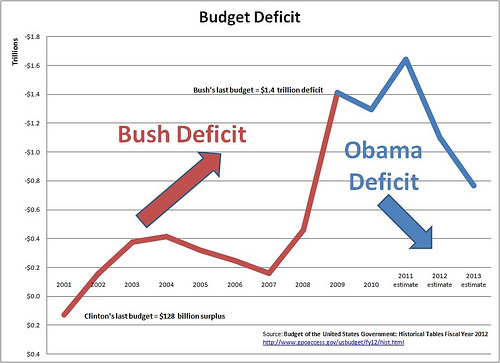 This chart includes Clinton’s last budget year for comparison. 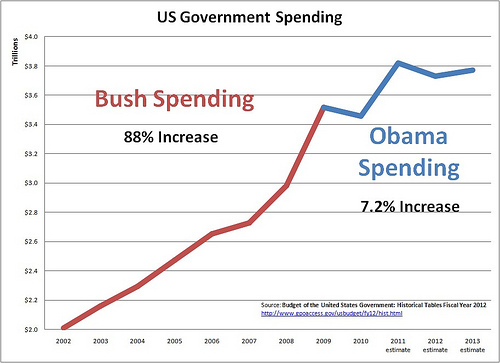 People who claim that Obama “tripled the deficit” are either misled or they are lying. And finally a chart that many of us may seen once or twice before in the past, but on that still remains quite relevant and informative. I know, I know. 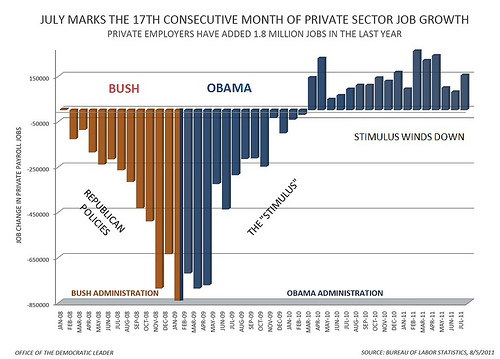 Most of these ignorant knuckle-draggers won’t believe or understand the numbers, even in the form of a pretty picture. They will not be convinced that all of the country’s ills are not solely the responsibility of the Islamic Socialist anti-white racist currently living in the White House. But hey, you have to start somewhere trying to get the truth out.